Among other things, mechatronics involves working with electronic, electro-pneumatic and electro-hydraulic systems. 2004 – 2011: Casual Technical Crew – Turner Simms Concert Hall, Southampton. In my time as a filmmaker for Access Dorset, I worked on a variety of web video projects for Access Dorset as well as other voluntary sector organisations and large institutions including the NHS and Department for Work & Pensions. These films were often about empowering marginalised groups and giving people a voice. I have really enjoyed this work. As a freelance filmmaker I have worked for a company that ran a live European Poker Tour. I was responsible for live streaming tournaments & making videos that captured the days events for sharing on social media and promoting the tour. This developed into live streaming and filming promotional films for Grosvenor Casinos UK poker tour and live streaming tournaments for France’s larges online poker company, Winamax. This work has taken me all over Europe, with much work being done in Dublin. As a freelance technician & consultant I’ve worked on some large projects, including developing a new business that provides technical theatre services and creative arts projects to schools in the Hampshire area. I was also a project manager on some large theatrical installations and new builds. I was responsible for producing and managing the cost schedule for a new build theatre at Southampton City College as well as project managing part of the installation. As a Dept Manager for Safeway I developed a range of skills and experience including staff and performance management, planning and sales forecasting, stock control and many others. I feel this period of employment helped develop a wide range of skills, responsibilities and qualifications applicable to many forms of employment. – Staff management/staff training/performance management of staff. – Stock ordering/stock control and reducing stock loss. – Planning and producing work schedules/controlling wages. – Forecasting sales/sales development/promotional planning. – Controlling and reducing waste/controlling overheads. – Due diligence checks and maintaining and managing due diligence. – Communication skills in relation to dealing with the public and staff. With two young children I enjoy full and fun family life! I have an interest in film & theatre and regularly enjoy watching films and going to the cinema. I enjoy swimming and playing squash and in the past, when time and body allowed, I was a keen climber. I really enjoy sailing, camping, travelling and meeting new people. I’ve spent time travelling in Europe as well as several trips to Romania assisting with my Fathers Romanian aid group. When it comes to music I like classic rock, a taste I developed when I would regularly listen to local bands in Weymouth. Access Dorset is a user-led disability rights charity. I met with the charity in 2013 as a freelance filmmaker. Access Dorset were delivering a citizen journalism project. The project gives marginalised groups a voice using film and needed support from a filmmaker. When the funding for that project ended Access Dorset were keen to keep me on and use film in other projects. 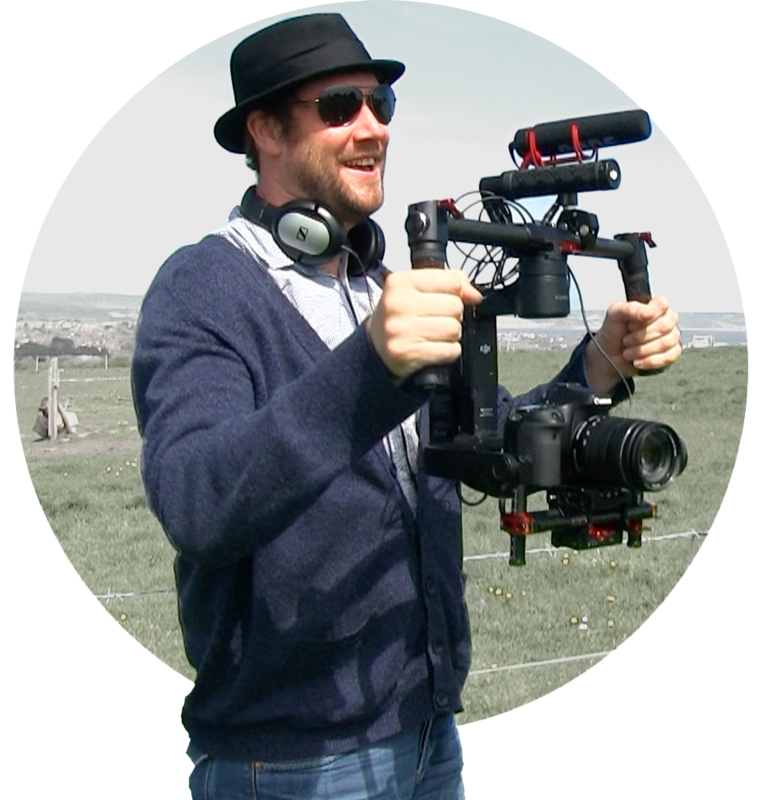 I joined the team full-time and for two years I have been making films for Access Dorset as well as the NHS, Department for Work & Pensions, YMCA, and other voluntary sector organisations. Included in the work I’ve done with Access Dorset; a series of films encouraging people to manage their own healthcare, two films evaluating pilot schemes by the DWP and several popular campaign videos. You can see some examples of films I made with Access Dorset below.